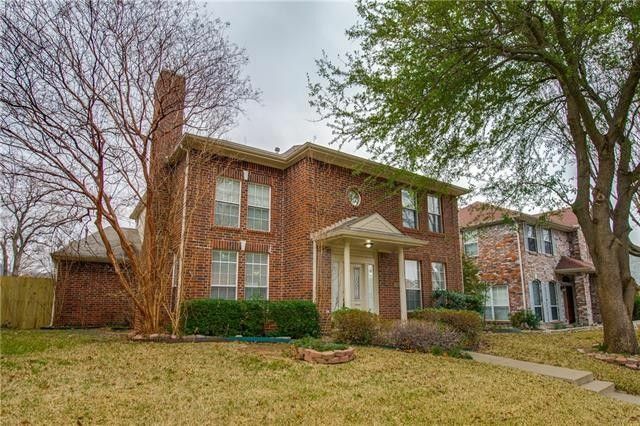 HIGHEST & BEST OFFER DEADLINE 5:00 PM TUESDAY FEBRUARY 12TH.Well located home at a great price, minutes to Dallas Tollway, 75, 121 and George Bush Tollway. High vaulted ceilings & fireplace in formal living room. Wood floors in living & dining areas. Open kitchen with breakfast bar. Separate full size laundry room. Private back yard with wood deck. Directions: From 75 Central Expressway go west on Legacy Rd, right on Sharps Dr, left on Stoddard Ln.